Missing values are an important problem in data mining. In order to tackle this problem in classification tasks, we propose two imputation methods based on Bayesian networks. These methods are evaluated in the context of both prediction and classification tasks. We compare the obtained results with those achieved by classical imputation methods (Expectation–Maximization, Data Augmentation, Decision Trees, and Mean/Mode). Our simulations were performed by means of four datasets (Congressional Voting Records, Mushroom, Wisconsin Breast Cancer and Adult), which are benchmarks for data mining methods. Missing values were simulated in these datasets by means of the elimination of some known values. Thus, it is possible to assess the prediction capability of an imputation method, comparing the original values with the imputed ones. In addition, we propose a methodology to estimate the bias inserted by imputation methods in classification tasks. In this sense, we use four classifiers (One Rule, Naïve Bayes, J4.8 Decision Tree and PART) to evaluate the employed imputation methods in classification scenarios. Computing times consumed to perform imputations are also reported. Simulation results in terms of prediction, classification, and computing times allow us performing several analyses, leading to interesting conclusions. Bayesian networks have shown to be competitive with classical imputation methods. Merz, C. J., & Murphy, P. M. (1997). 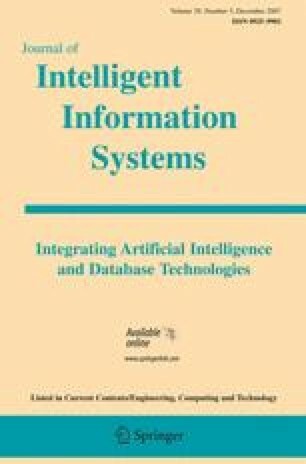 UCI Repository of Machine Learning Databases. Retrieved from http://www.ics.uci.edu. Irvine, California: University of California, Department of Information and Computer Science. Spiegelhalter, D. J., Thomas, A., & Best, N. G. (1996). Computation on Bayesian graphical models. Bayesian Statistics, 5, 407–425. Retrieved from http://www.mrc.bsu.cam.ac.uk/bugs.